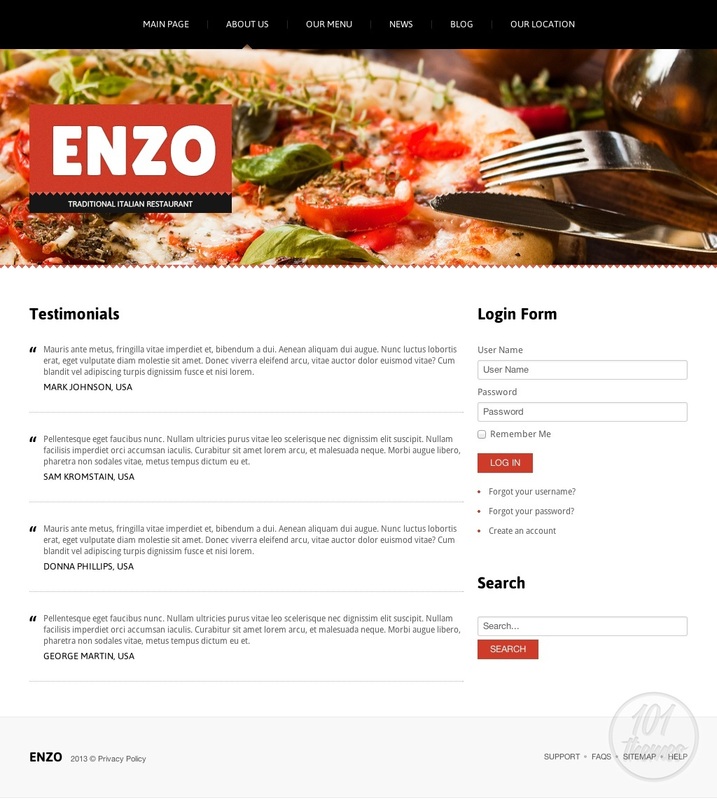 Enzo is a responsive restaurant template for Joomla created by Di and presented at Template Monster. 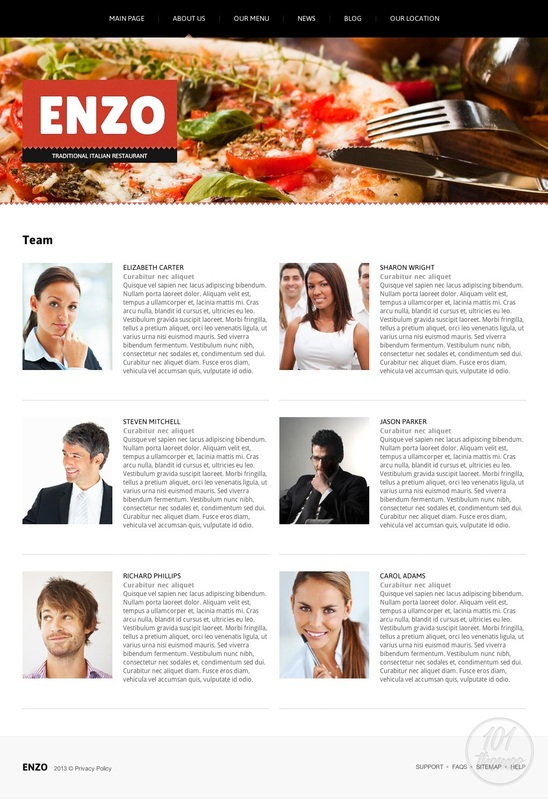 This template features a very bright, clean layout that is specifically made for placing your content in the spotlight. A full width slider is featured on the homepage, at the very top of it. 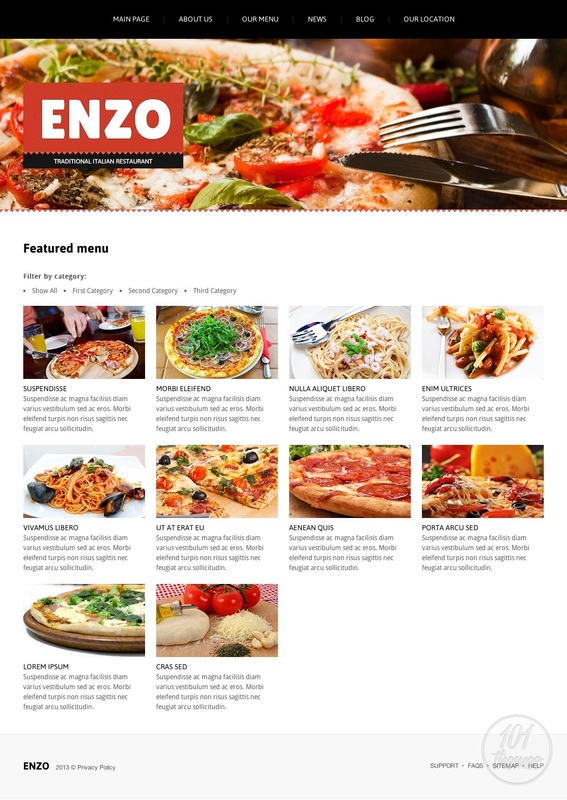 This represents a great spot for showcasing the most remarkable photos of your delicious food and getting your visitor’s attention focused on them right away. 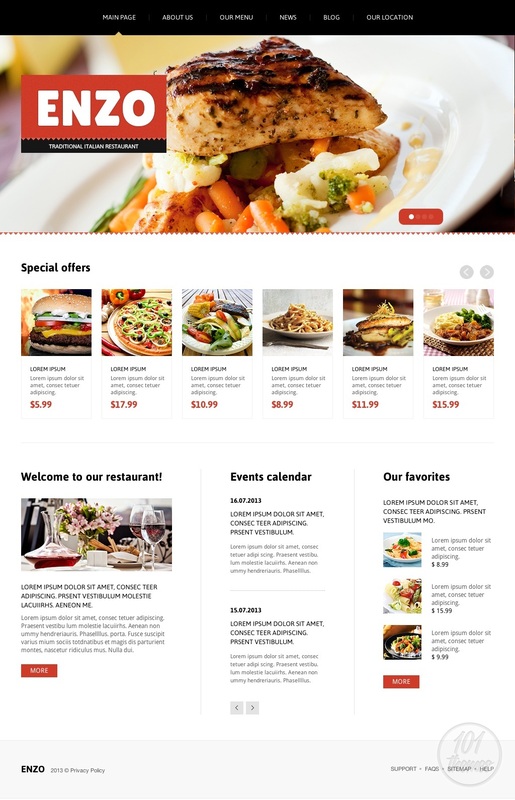 You can feature your special offers in another, smaller slider right under this one. 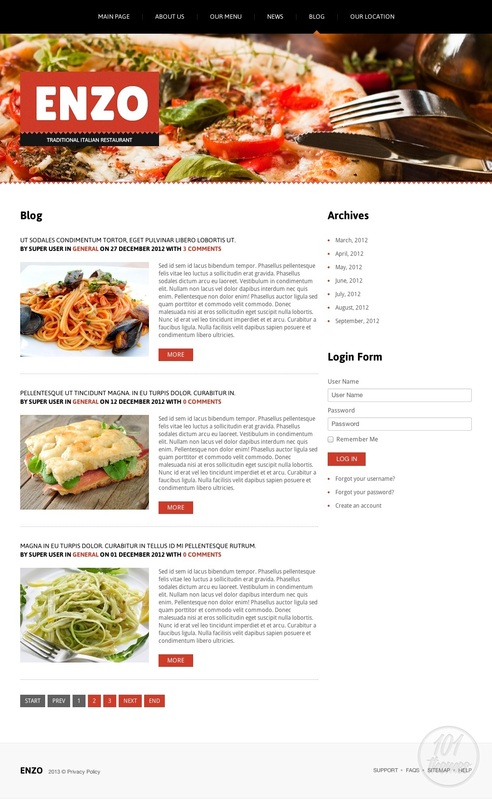 Your dishes will be shown in resized photos here and with short descriptions and prices. A nice welcoming note will surely warm the hearts of your guests, and this template lets you write one, attach a nice photo to it and feature it on the homepage. This is going to make your visitors feel welcome and knowing you want to make them feel nice at your restaurant will attract them to you even more. 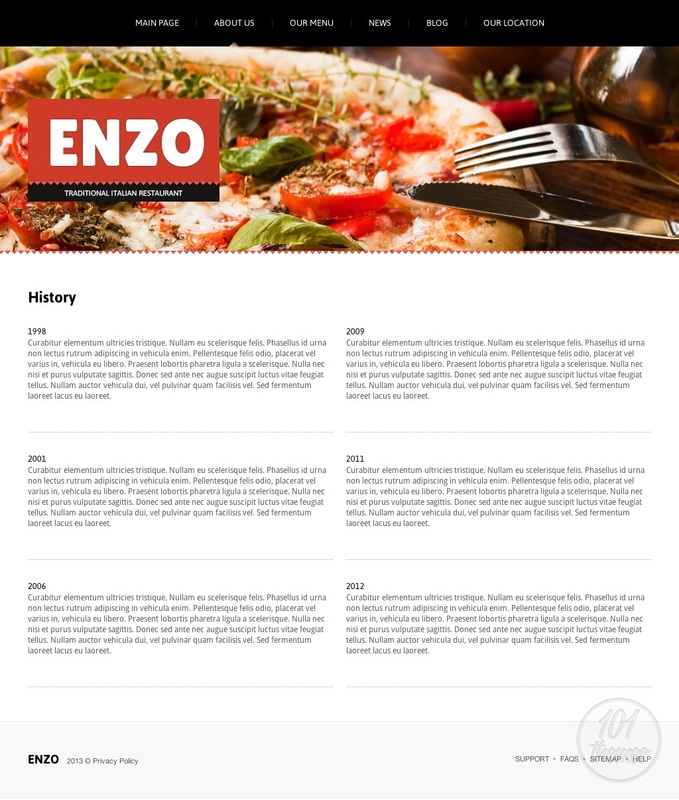 There is a whole “about us” section reserved for telling the story of your restaurant to your guests, introducing them to your team and sharing whatever you find important for sharing. The menu looks remarkably good; each menu item will have its own detailed description and a photo. 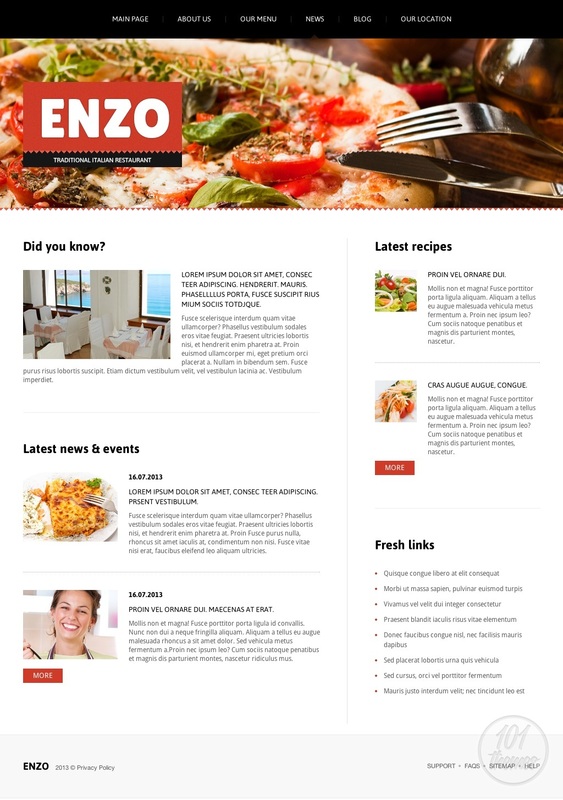 The news section is where you can announce any upcoming events and present them to your visitors and there is a separate blog section for you to post as much as you want and bring your visitors closer to your cuisine, maybe even share some recipes with them if you’re up for it. 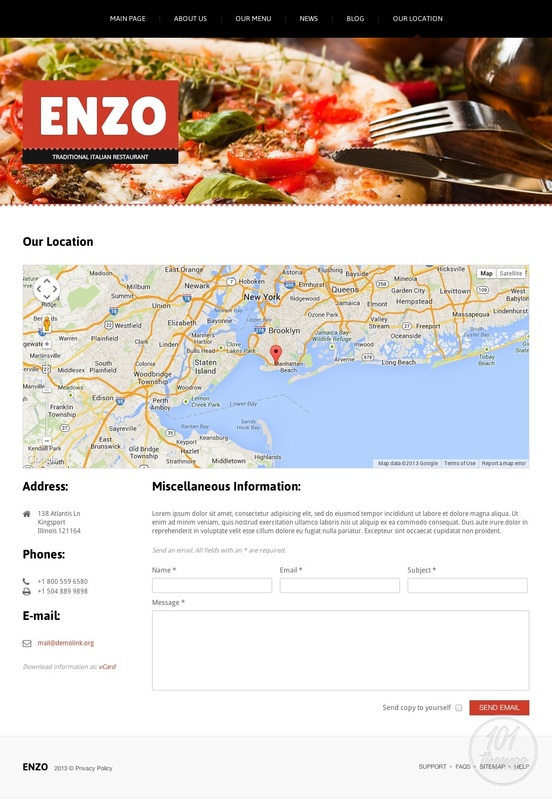 The last section includes Google Maps integration, which will display a map with your restaurant pinned on it so everyone can easily find you. There is also a contact form included so everyone can message you easily. 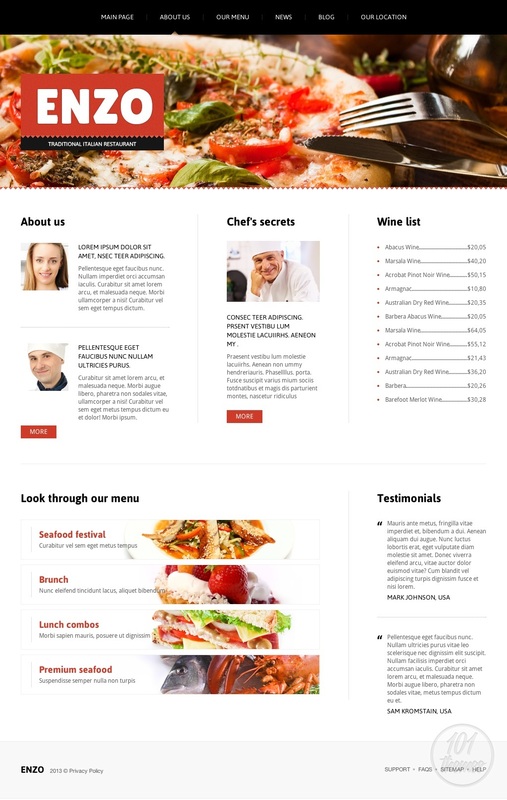 This responsive Joomla restaurant theme is going to make your website look fantastic no matter what device it is seen from. Everything will automatically adapt to any given screen size or resolution so you can be sure it’s going to look great even on tablets and smartphones.